Our objective is to help MBEs grow their business. The Northwest Mountain MSDC continuously builds, evaluates, and improves MBE services to support the MBE’s evolving needs. We provide Minority Business Enterprise (MBE) Certification for ethnic minority owned businesses. MBE certification is nationally recognized by corporate and public agency members. 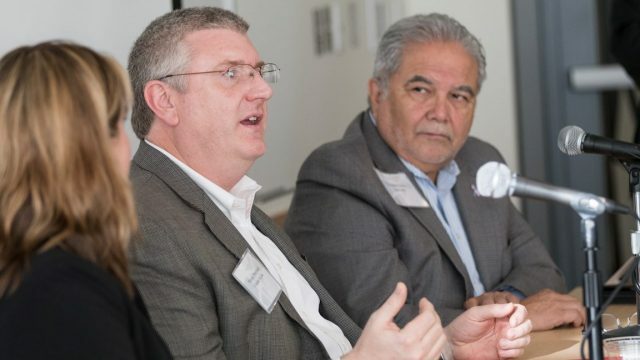 MBE services include year-round MBE development in various settings, from one-on-one conversations to round table discussions, workshops, panel discussions and conferences. We walk MBEs through the engagement process and provide insight on how to do business with corporate/public agency members. Upon MBE Certification, your profile will be included on NMSDC Central Vendor Management, a national MBE database accessed by corporate/public agency members. 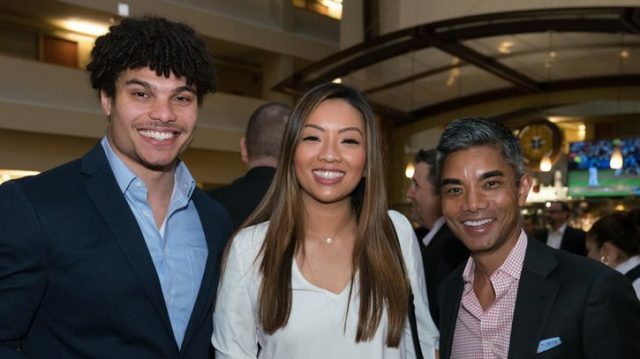 In addition, we provide opportunities to meet corporate/public agency members and other MBEs, through premiere events, Council activities and corporate/public agency meetings. Minority Business Enterprise (MBE) Certification is a nationally recognized validation of your company’s status as a minority owned, managed and controlled business. The firm must be a for-profit enterprise physically located in the United States or its territories. The submission of all required documents. Northwest Mountain MSDC reserves the right to request additional information and/or documentation for purposes of determining eligibility for MBE Certification as per the National Minority Supplier Development Council (NMSDC). Complete the online application and provide supplemental documents. You may find our instructional video helpful. Desk audit review within 45 days. Final Board review for vote. Certified MBEs are required to re-certify annually in order to maintain certified status and remain listed in both local and national minority business databases. Step 1. Submit and upload the most recent Federal Tax Returns and Declaration of Minority Status with the updated application. Step 2. Pay the non-refundable application fee. Step 3. Desk audit review within 30 days. Questions? Contact Huda Al-musawi at halmusawi@nwmmsdc.org or call (253) 243-6959 ext. 109. Access the right tools to grow your business and expand your professional network. 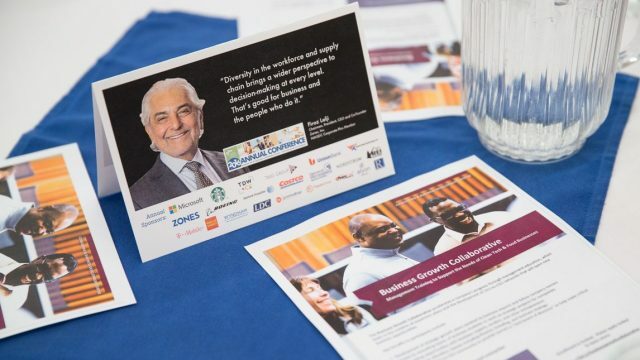 Every year, the Northwest Mountain MSDC develops its certified MBEs’ capacity for successful enterprise through educational programming and council events aiming to prepare MBEs to do business with corporate/public agency members. A two-day intensive workshop on how to build a “high performance” organizational culture of success. The workshop focuses on topics such as growth, innovation, teamwork, accountability, positive change, great leadership. A three-part series working to build strong capabilities statements and introductory communications. Participants receive confidential feedback and constructive ideas to refine their capabilities statement and introductory communication. Learn to engage with Corporate/Public Agency Members with concise and compelling presentations. Having an effective capabilities statement at the core of your marketing plan builds a strong foundation for your marketing strategy and promotional campaigns. A three-part series designed to streamline branding, marketing, advertising and target market engagement. Open to corporate/public agency members to share best practices in publicity, marketing and advertising. Focus on the value of marketing, marketing budgets, effective branding, and how that ties into web presence, social media, advertising, leveraging your network, and planning a successful campaign. For more information on upcoming events and workshops, visit our Events page. Certified MBEs around the nation can benefit from joining the Northwest Mountain Council. Subscription services are available for any affiliate council certified MBEs who wish to have access to the unique relationships, capabilities, and industry expertise the Northwest Mountain MSDC has cultivated in our service area. The business is a certified MBE within the National Minority Supplier Development Council (NMSDC) network. Certifications must be current; applications will not be processed within 60 days of expiring from the home council. A subscription service runs concurrently with the term of your MBE certification from your home council. It expires when your home council certification expires. Build relationships with other trusted minority-owned business enterprises. 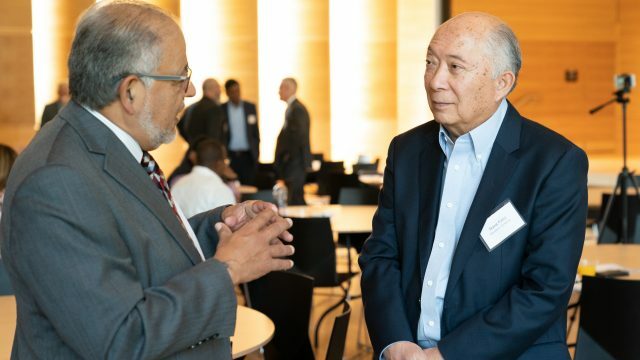 As an NMSDC-certified MBE, you are in the unique position to promote and market your services to prospective certified MBEs who are looking to build relationships with other trusted minority-owned businesses. Centralized and most active data point for all NMSDC certified MBEs. Provides information for both MBE2MBE business ventures and certification in one database. Ability to search for other certified MBEs for potential collaborations. To access this new feature, Opt-In in your NMSDC Central account. Leverage your national capabilities and expand your participation in the NMSDC Network. Read more about the benefits of being a Corporate Plus member!